Unprecedented Durability Shockproof and waterproof to 197' (60m), and proven in heavy surf from Tahiti to Northern California and everywhere in between, GoPro cameras can handle it thanks their highly engineered polycarbonate exoskeletal housing. Ready for action—from scuba diving to dirt track racing, and tough enough to take a spin across the asphalt or launch into space, GoPros are built to take a beating and keep filming. Replacement lens kits and housings are available, so there’s little worry while going for glory—even while diving with sharks. Wear it. Mount it. 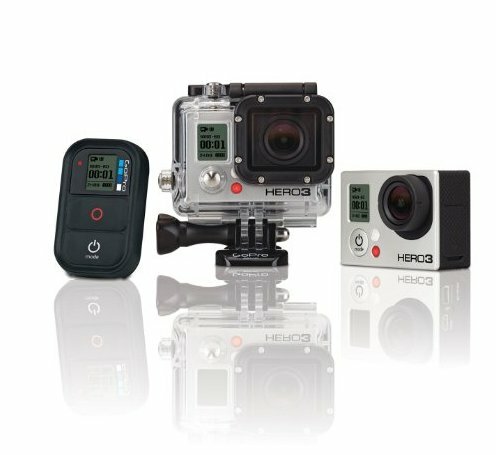 Love it.™ GoPro mounts enable you to capture a fully immersive experience of your most exciting moments while ensuring your camera is securely attached and with you for the ride. Helmets, poles, boards, vehicles—and even yourself—whatever you’re into, there’s a GoPro camera mount that will help you get the perfect angle and POV for your most epic adventures. The HERO3 comes with a few basic mounts to get you started.